America First over safety first may be the mode of operation at Boeing and the United States government. 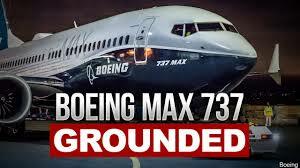 Today, one of the closest allies of the US, the United Kingdom and now European Aviation banned all Boeing 737 Max 8 from operating in Europe, while the FAA in the United States re-confirmed the airworthiness of the aircraft. More than 300 people died recently in 2 fatal air disasters involving this brand-new plane. First UK regulators today followed by all of Europe, China, Ethiopia, Indonesia, Mexico, Malaysia, and other countries, by immediately suspending the operation of that aircraft until the cause of the recent Ethiopian Airlines crash can be determined. Five 737 Max aircraft are registered and operational in the United Kingdom, while a sixth had planned to commence operations later this week. In the United States, Southwest Airlines and American Airlines are operating a large number of this type of aircraft. American Airlines will charge passengers wanting to cancel or rebook flights on the Boeing 737 Max 8 for a full cancellation with change fees. Southwest Airlines is allowing rebookings but will charge the difference to potential higher fares. The 737 Max became the fastest-selling plane in Boeing history, the company said on its website and is used by airlines around the world. The 737 Max is mostly used for short- and medium-distance flights, but a few airlines fly it between Northern Europe and the East Coast of the United States. Southwest Airlines started service between the US West Coast and Hawaii. United Airlines is flying the 737 Max 9 to Hawaii. It is more fuel efficient and has a longer range than earlier versions of the 737. CELEBRATION, FL - In early 2017, Disney Cruise Line returns to favorite destinations in the Caribbean and Bahamas on a variety of itineraries, most from popular Florida ports. Consumer fraud by Choice Hotels, Hilton, Hyatt, InterContinental, Marriott and Wyndham? Experiential innovations, learnings, industry trends and new exhibitors are among the hundreds of reasons to attend IMEX America. Past and present (FAA) leaders and employees gathered in Washington, DC on August 30, 2018 to commemorate the FAA’s 60th Anniversary.